This is Rocco G. Maltese sending pictures of stuff by means my students and I have performed meridian location and shadow measurements at I.I.S.S. "G La Pira" - Pozzallo (Italy) from 15 through 22nd of march. During the month of February my students and I have performed shadow measuremnts with a shadow plot to fix the exact position of the meridian for the noon passage. We have posted some pictures too in the gallery of all our stuff used: shadow plot and meter stick. One day we have also ask to our students attending higher navigation class to perform a measurement of the upper passage of the sun to check the hour of the passage and the position of the meridian line. We get a confortable accord with the our previous measurements with shadow plot. 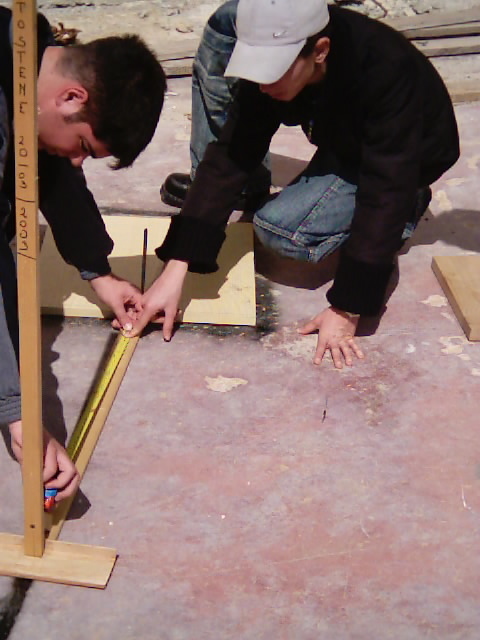 We got seven measurements from 15/03 to 22/03, and have taken the mean value of the shadow angles and the circunference values in such a way to obtain a relative percentual error of 3.3%. This isn’t a good one results but it is very important all the work that our pupils have done in these days. We looking forward to share our experiece measuments procedures with few of you. All the best from Rocco and his students.